. : 2011 Ski For Kids, THIS MONDAY!!! 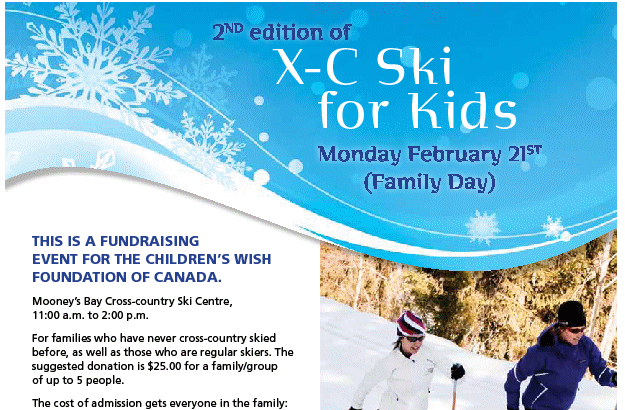 Feb. 21st (Family Day) 11am-2pm at Mooney's Bay :: Ski XCOttawa.ca :: Skiing in Ottawa and Gatineau Park :. XC Local: Share Your Spring Skiing Stories and Pictures! XC Local: NCD to honour Jim and Diane Thomson.